Looking for a flight destination that delivers the most bang for your bucks in terms of cost per mile travelled? Singapore comes out tops – but only if your flight originates from Melbourne. 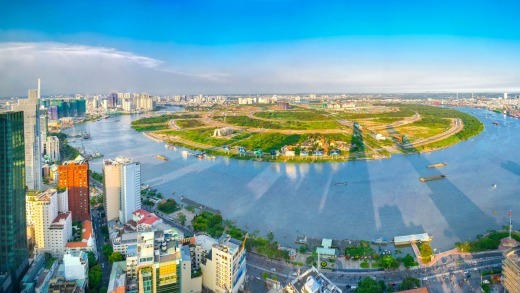 For flyers originating from Sydney, it's Ho Chi Minh City at the top of the pile, and that difference is just one of the mysteries that emerges from a cost-per-mile comparison of flight prices. Kayak, one of the leading metasearch engine that scours the web in search of flight tickets, has crunched the numbers and come up with a list of the least and most expensive destinations that flyers from Melbourne and Sydney face on a cost-per-mile basis, with some surprising results. According to Kayak's figures, you'll pay 460 per cent more per mile travelled to fly from Sydney to Queenstown than to Ho Chi Minh City. Even if your destination is the same, whether your flight originates from Sydney or Melbourne makes a difference to the price you pay for every mile your aircraft travels. For Sydney flyers, on the least-cost-per-mile table, the winner is Ho Chi Minh City, one of the twin hubs of Vietnam Airlines, a fierce price competitor. Second least expensive per mile is Kuala Lumpur, and again the city is well served by competing airlines, especially as this is the base for low-cost carrier Air Asia. At an average price per mile of 6¢, flights from Sydney to Kuala Lumpur are about 20 per cent cheaper than flights to Singapore, yet that city too has many competing airlines and its own aggressive price slasher in the form of budget airline Scoot. Even more curious, for travellers originating from Melbourne, Singapore takes the gold medal on the lowest cost-per-mile chart, with flyers heading to the island state paying 13 per cent less per mile than those originating from Sydney. For those flying from both Melbourne and Sydney, New Delhi is toward the upper end of the least-cost destinations, and the lack of competition on Australian routes might be a contributing factor. Air India has this game all to itself, the only airline operating non-stop flights from Melbourne and Sydney to New Delhi. That's all the more surprising considering the number of Australian residents who now claim Indian ancestry, and who make frequent pilgrimages to visit friends and relations in India, as well as the increasing tourist traffic between India and Australia. Surely Qantas could turn a profit muscling in on the trade? For Melbourne flyers Colombo is the most expensive destination on the least-cost-per-mile table – SriLankan Airlines does not operate from Sydney. SriLankan Airlines offers the only non-stop service on this route and once again this illustrates the fact that where one airline is the sole carrier it can exploit its position with higher ticket prices. On the other hand, for Sydney flyers the most expensive of the 10 cheapest destinations on the Kayak list is Bangkok, and that's also surprising considering the number of airlines that operate both non-stop and one-stop services on this route. Exactly why a flight to Bangkok costs an average of 9.13¢ per mile when a flight to Thailand's favourite holiday island of Phuket costs just 6.26¢ per mile – almost one-third less – is puzzling. Note too that travellers originating from Melbourne pay 22 per cent less per mile to fly to the Thai capital than those from Sydney. The European long-haul cities of Madrid and London sit squarely in the middle of the least-cost table but Paris is strangely absent from the list of Melbourne-origin flights. For Sydney flyers, only about one-twentieth of a cent per mile separates Madrid, the cheapest of the trio, from the most expensive, Paris. 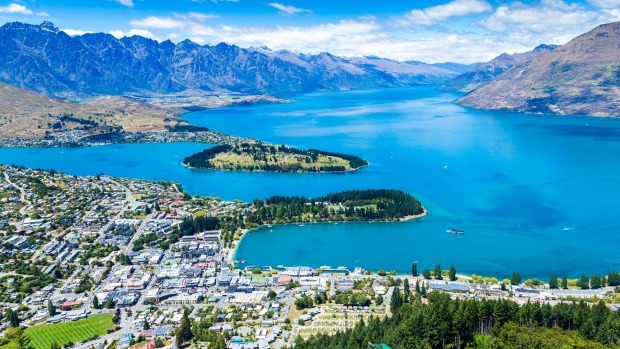 On the chart of the least cost-effective destinations, New Zealand's cities are the chart toppers. In terms of cost-per-mile, travellers originating from both Melbourne and Sydney pay more to fly to New Zealand than anywhere else. Queenstown takes the podium for Sydney flyers with a price of more than 27¢ per mile. Set in a mountain valley, with a lake at one end, Queenstown Airport has a relatively short runway and a tricky approach, which limits the size of aircraft that can land safely, and this has an impact on ticket prices. Wellington, Auckland and Christchurch occupy the next three places on the Sydney ladder, for Melbourne it's Christchurch and Auckland at the top. Sydney flyers pay significantly more per mile to fly to Auckland and Christchurch than those from Melbourne. This is an extreme example but for most of the destinations on both of Kayak's least and most cost-effective destinations, Melburnians pay less per mile to get there than Sydneysiders. And therefore flight prices join housing costs, rents and parking fees as just some of life's essentials that cost less in Melbourne than in Sydney. Robin Chiang, country head of Kayak Australia suggests travellers looking to max out their holiday dollars should use the KAYAK.com.au Price Forecast tool, "which tells you whether to book now or wait for a better price, based on exclusive data from our 2 billion flight searches each year. Another great tool is KAYAK's Price Alert, which notifies you as soon as the fare drops for your desired location." Note: The aviation industry still tends to use miles and feet, rather than the metric system, hence the analysis is in cost-per-mile. Here's why they still use imperial measures.